The colorful blooms and dark-green glossy foliage on rhododendron shrubs may look perfect in the flower bed beside the house, but caution is required when dogs are around. Most dogs like to dig in the garden, eat plants and chew on sticks. All parts of these deciduous plants are toxic to both people and animals, but the leaves have the greatest amount of poison. The toxic resin in rhododendrons is an andromedotoxin, now more commonly known as a grayantoxin. 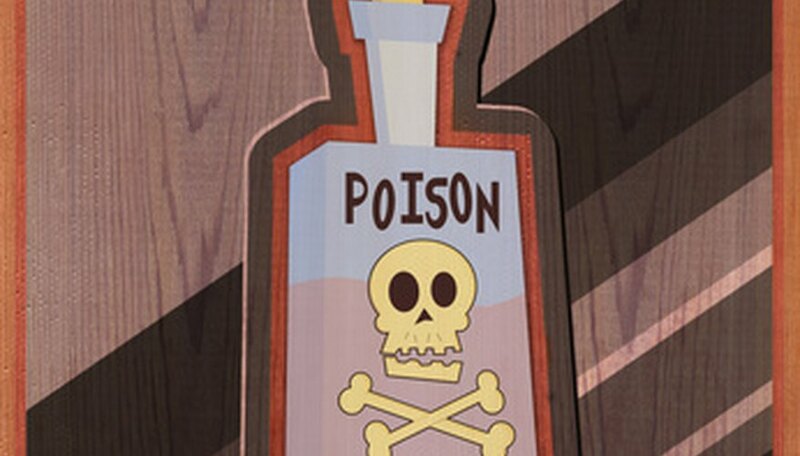 The online veterinary library at the University of Illinois states that this kind of poison causes irritation in the stomach and intestines and can result in bleeding, kidney damage and some liver damage. Pneumonia can also follow from vomiting and breathing it into the lungs. Grayantoxins affect body and heart muscles and the central nervous system, so a large enough dose can paralyze a dog, leading to coma and death. Smaller doses may only make the dog very ill, but recovery is slow. The amount eaten, size of the dog and metabolism can affect the severity of the results. The ASPCA (American Society for Prevention of Cruelty to Animals) warns that simply eating a few rhododendron leaves can cause a dog to vomit, drool excessively, feel weak and have diarrhea. Within hours, the dog may show signs of severe upset stomach, lack of appetite, colic and repeated swallowing. Also there may be a lack of coordination, dazed look in the eyes, inability to walk and bloating. Once a dog becomes comatose, death follows. Both the American Kennel Club and The Kennel Club (UK) advise owners to seek immediate medical help if a dog has been poisoned or shows these symptoms. Rarely is there a way to determine exactly how much has been eaten, so early treatment can make the difference in survival. The National Animal Poison Control Center, which is part of the ASPCA, has a hotline for emergency situations. For a fee ($45 as of June 2010), the center specialists will consult with veterinarians and give advice to owners. The center specialist will need to know the owner’s name, address and telephone number; and the dog’s breed, size and age. Also, the owner needs to describe symptoms, what poison the dog ate and when it was eaten. The NAPCC accepts calls at (888) 4-ANIHELP (426-4435) and charges the fee to a major credit card. Or, a call to (900) 443-0000 will be charged a flat rate on the owner’s telephone bill. The center will get in touch with the dog’s veterinarian upon request, and will fax information for treatment to the facility where the animal is being taken. 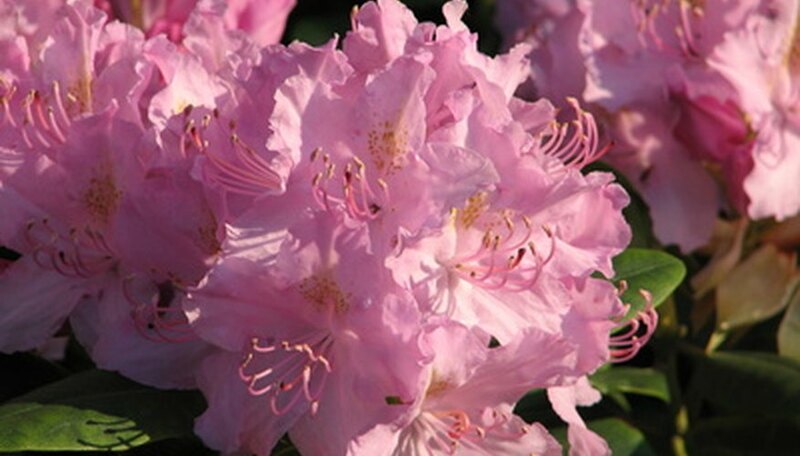 The best way to avoid rhododendron poisoning is to keep dogs away from the shrubs. Unfortunately, this is not always possible. Owners may live in an area where some of the landscaping is not under their control, such as a condominium or apartment complex. Or, they may move into a house that has already been landscaped, or beside a neighbor or park that has rhododendrons. Knowing all of this, owners may still choose to have the plants in their own gardens. When moving into a complex that allows dogs and has these plants, alert the building management that rhododendrons are poison to both people and animals and ask for the shrubs to be removed or planted in an area where dogs cannot get to them. If they are in a neighbor’s yard within access of the dog, owners can politely educate the neighbor on the dangers and ask for them to be moved. On personal property, owners can move the shrubs so they are far enough away from the fenced area where the dog is allowed to run so that there is no chance of ingestion. The Kennel Club (UK) reminds owners that dog safety is their responsibility. Dogs need to be properly trained, supervised and protected, especially from themselves. When dealing with situations where rhododendrons cannot be avoided, dogs should always be kept on a leash that prevents them from getting near the shrubs, or constantly supervised to prevent poisoning. 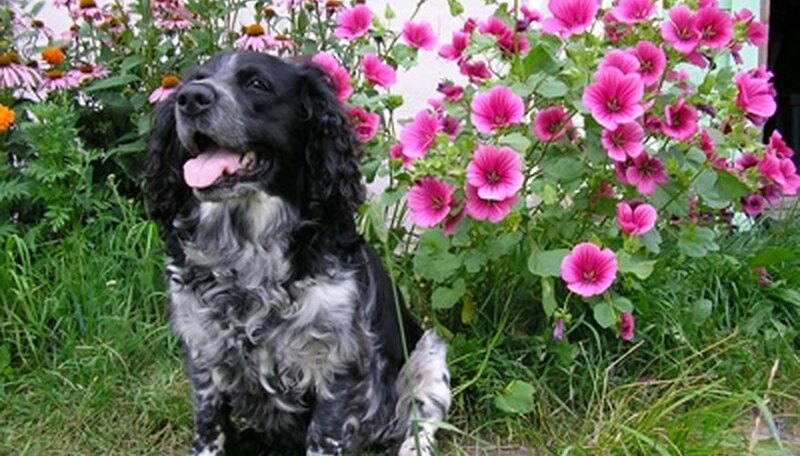 Dog owners who follow these guidelines can enjoy both the beauty of gardening and a healthy pet. Rachel Wion is a graphic designer, writer, editor and project manager. A member of Epsilon Pi Tau International Honor Society for Technology Professions, she holds a bachelor's degree in graphic design and an associate's degree in business administration. She also has experience as a proofreader, managing editor, reporter and more.